I want to take a moment before I share today's Friday Five to remind everyone that as long as you follow this blog & my TPT store you will be able to get any one product from my TPT store for FREE. You just need to submit your request here before 9PM EST on Friday the 23rd of July. I will send the products out by Monday the 25th. So please take a minute to look at my store and claim your gift. Thanks! Now Closed. Thanks. Friday Five is a weekly post in which I share five neat things I have learned or seen during the week. 1. 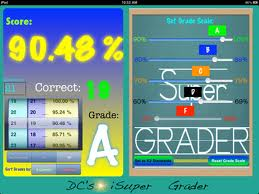 Charity at The Organized Classroom Blog shared a really awesome iPad app called iSuperGrader. She has a giveaway going on until 10pm at her site. Click here to enter her giveaway or just to learn more about this app. I went ahead and bought the app and I've been playing around with it. You can customize the grading scale if you use letter grades or it has a preset K2 scale. Neither one is exactly what we use at my school but that's okay with me because what I love about this app is how easy it makes to calculate the percentage scores. 2. I have been reading about using "smellies" all over blog land lately. I had never heard of this idea before, but I am definitely going to use them this year. In case you don't know what smellies are, they are simply a dab of flavored chap stick that you put on the back of your students' hands as a reward. Chap stick used for smellies only ever goes on hands & never on lips. Krissy at Kindergarten Monkey Business did a great post a little while ago about how she uses smellies to teach her students left versus right by consistently applying smellies only to right hands. I am totally stealing her idea. Click here if you are interested in reading her fabulous post. 3. I have used this site before. So, technically I didn't learn about it this week, but I did remember it this week while I was working on my classroom library. I like to level my books, but it is a daunting task to try and figure out all of their levels. The best tool I have found for leveling books is the Scholastic Book Wizard. This fabulous tool lets you look up titles to find their levels or search for books by reading level, genre, subject area, etc. Awesome! 4. 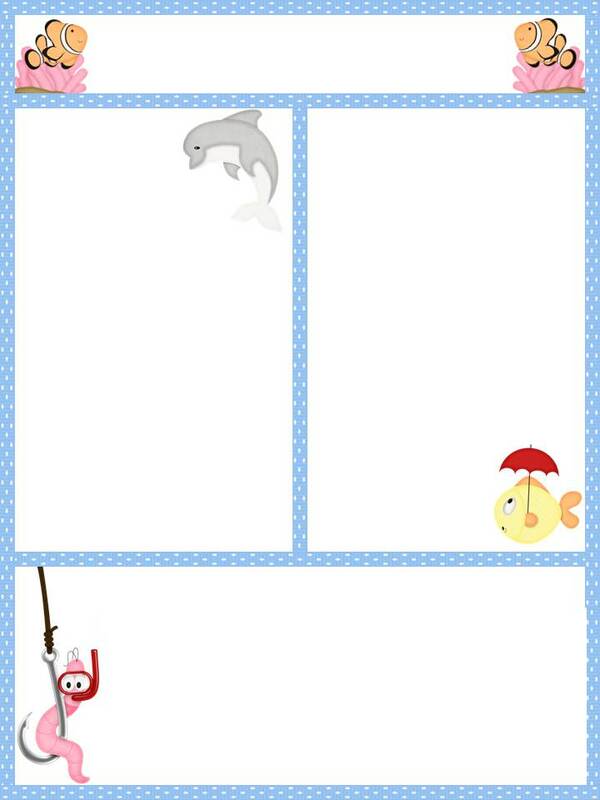 This week I figured out how to make newsletter templates for my classroom. I made the put my clipart together in PowerPoint and saved it as a jpeg. Then I pasted that into Word and added text boxes. 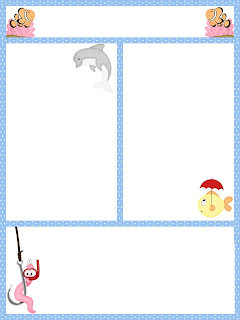 I am planning to make these in some different themes and adding them to my TPT store soon. 5. This week I worked on getting my classroom together. One thing I realized I don't have, but would like, is a set of reading pillows. I want to be sure that I can wash them because of lice and germs. When I looked back through my Google Reader I found a post at Mrs. Wills Kindergarten that had a great tutorial on how to make some durable and washable pillows. Hi! What a wonderful thing to do! I follow your blog and your tpt store. I would love your Fun Basketball math activities. If you have a smartboard come on over to my blog. I sometimes have items to share! 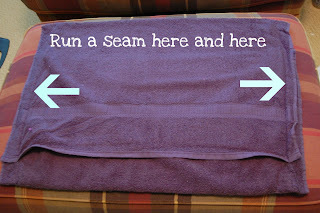 I have followed your blog and TPT store since almost the beginning!! I would love the Reading the Games. Are you planning on making any more for the other stories? WOW! Thanks! A friend shared your blog and giveaway with me. I can't wait to look at everything here I've been missing. I now follow your blog and TPT store. Could I get the basketball math activities as a freebie? Thanks for the freebie! I can hardly wait to see what else you will offer. I follow your blog and TPT store. I would like to get the classroom stickers and labels. They will be sooo useful for my little firsties this year.